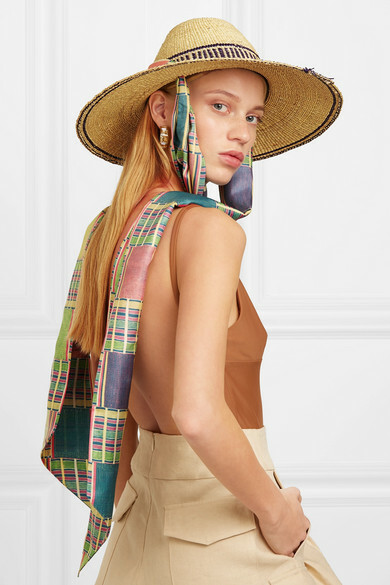 This hat is part of a collaboration between Margherita Missoni, milliner Cambiaghi and OAfrica - a non-profit organization helping Ghanaian children and their families. 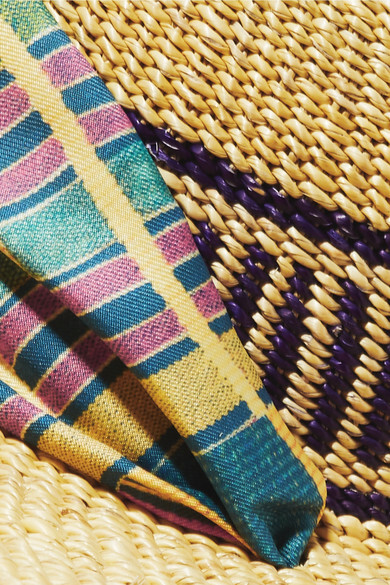 It's woven from natural straw and has a wide brim traced with navy stripes. Tie the printed silk trims under your chin and add a pair of oversized sunglasses to channel Old Hollywood glamour. Shown here with: Kalita Dress, Tohum Bracelet, Lucy Folk Cuff, Tohum Bracelet.